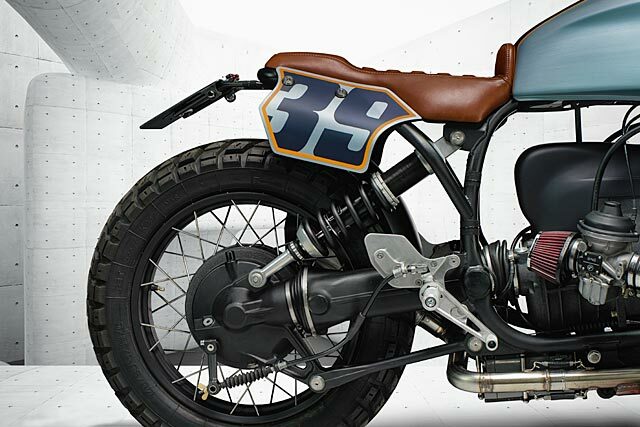 A loose collection of keen motorcycle fabricators, Slovenia’s ER Motorcycles have been producing exceptionally clean, modern takes on classic bikes since the workshop was established in 2009. 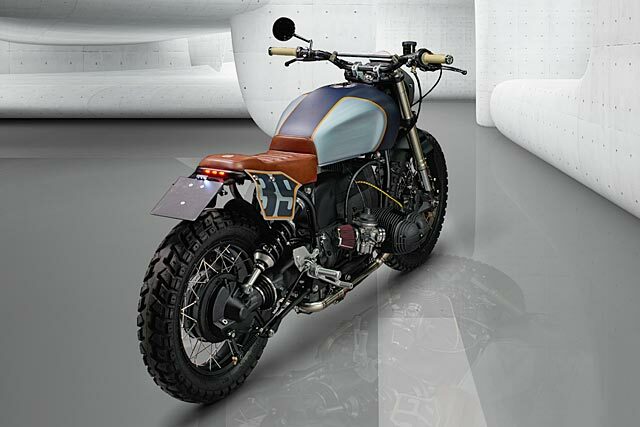 Their latest bike – a 1993 BMW R100 dubbed ‘Logan’ – was commissioned for Jan Mursak, a professional hockey player known for his accuracy with a puck, sportsmanship, and powerful right hook. And it’s no surprise ER have managed to pick up a client such as Jan, with ER Motorcycles flying the flag for exceptional custom motorcycles in Slovenia for the last few years. 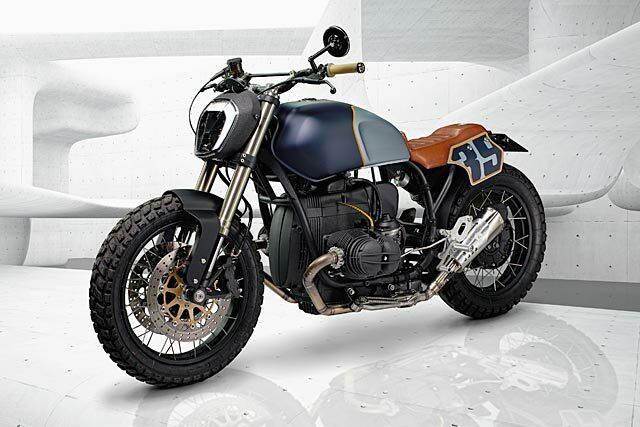 They specialise in ultra-clean takes on traditional BMW airheads with hospital-grade levels of build quality, a trend they’ve continued here. But builds like these don’t just happen by coincidence. There’s a fair bit of planning involved. 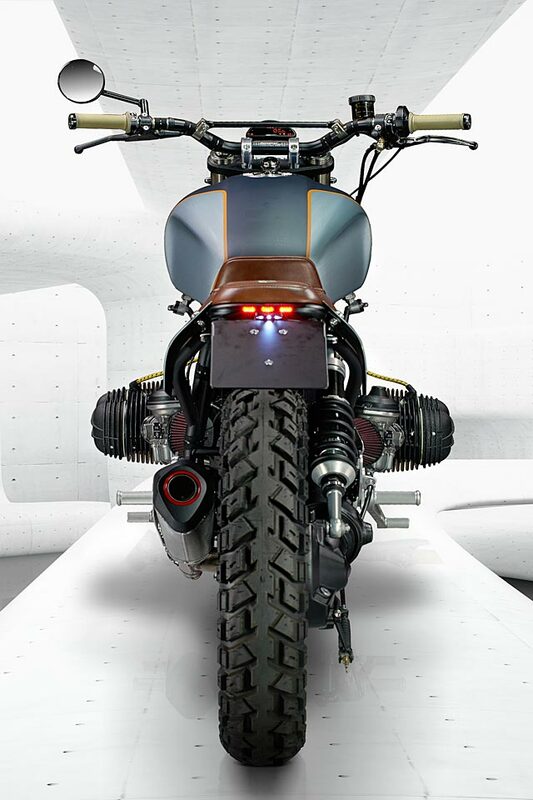 In ER’s case the team work on digital renders before turning any wrenches, ensuring they have a strong idea of the bike they want to produce before they begin. And in this case, the team knew exactly they wanted to make, as head of the workshop, Blaž Šuštaršic, explains. 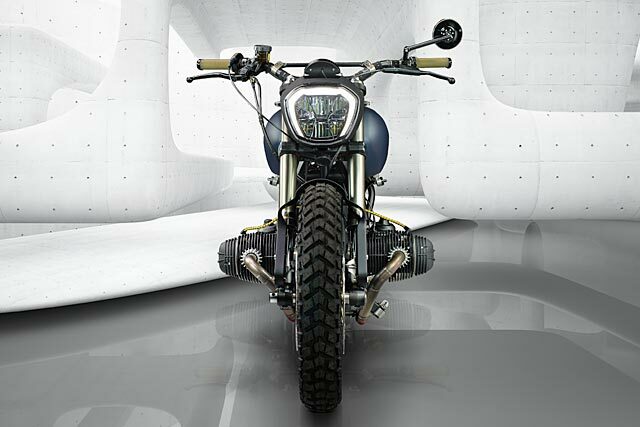 ‘Our aim was to achieve a completely different outer appearance and look of a scrambler motorcycle,’ he says. To that end the first thing to change was the fuel tank. ‘We opted for a Yamaha XJR1200 tank, with a few adjustments on the rear. 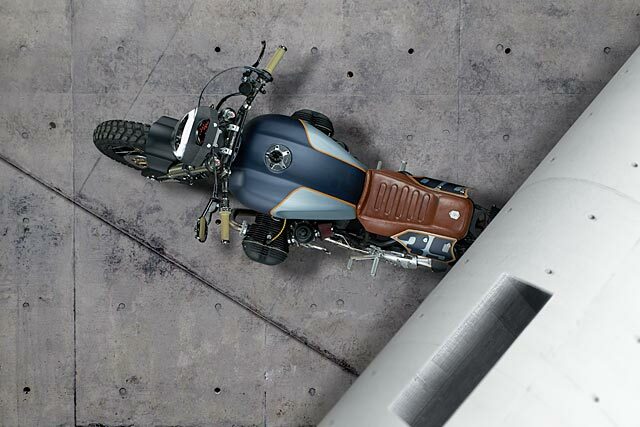 It gives the bike some extra width and length when looking at it from above and the side’. Underneath that the subframe was modified, with three integrated LED’s on the rear and new aluminum side panels. 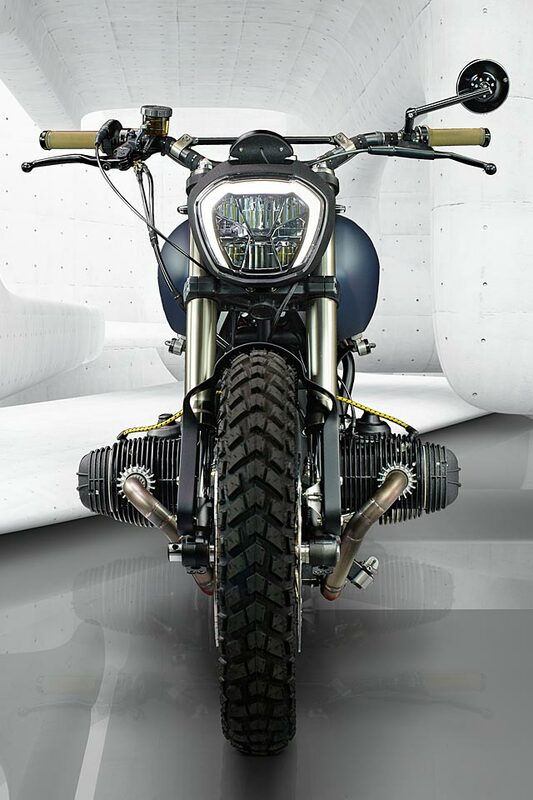 But to separate the bike from the hordes of existing BMW scramblers grumbling around the ER wanted something different for the front end. ‘I wanted to avoid the classic round headlight shapes of other bikes – I wanted something more modern,’ Blaž explains. ‘The Ducati XDiavel headlight seemed like the perfect choice’. The headlight bracket was adjusted to allow the wiring to sit neatly hidden away, no longer having the big headlight to hide a mess of tangled wires – which was trimmed down considerably using Motogadget components, including their Motoscope Pro and M-unit. Rounding out the front end is a serious pair of upside down forks, taken from a Ducati 848 sports bike. Stopping power is just as impressive, coming from twin 320mm discs grabbed by twin radial Brembo calipers. Tying it all together is a paint job by Matej, running the number 39 on both panels – Jan’s playing number. 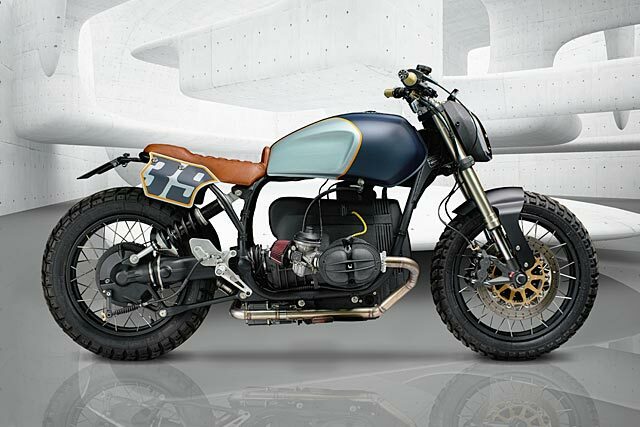 The Logan BMW that’s exceptionally clean and tidy, well thought out and different enough to draw attention from many other custom airheads on the market. Jan’s going to be a very happy man. And after seeing videos of what he does on the rink when he’s unhappy, that can only be a good thing.